Been away from current gear for too long. 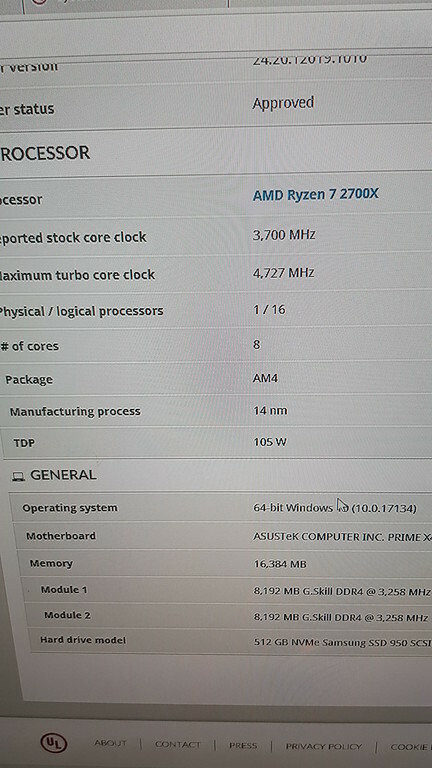 Picked up an Asus Prime X470 Pro on the bay for £125 and threw some bits at it. A little play in the bios later and I have this to show for it. Look ok? Just run lots of stability tests to make sure it's 100% stable. 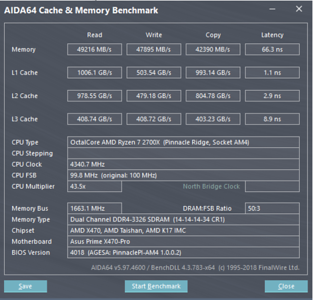 Rock solid so far, Prime95, Cinebench, full PCMark suite, full Sisoft Sandra suite. 2 bugs have shown up on the Asus side, the memory has to be in Channel 2 or it will fail to boot at anything over 2400 and the Asus AI Suite has shown itself to be able to lock the system if you try to change the fan parameters via that silly Q app they have. I have since shifted control to an Aquaero 6 and will feed it sensor info from HWInfo. Yeah don't use AI Suite, Asus make great hardware but their software is some of the worst I've ever used. Full set of CH Products Hotas hanging off for Flightsim duty + Elite Dangerous) and a mid range Logitech FF steering wheel for rallying and F1 duties. Oh and a Track IR and a Canon Pixma Pro 100 for a bit of printing.